Organized Chaos: The Kids Raised Butterflies! 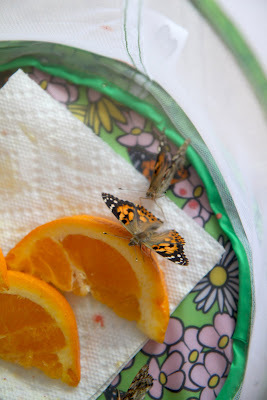 I decided a fun spring Science project for the kids to do besides growing the different plants we are growing right now, would be to raise some butterflies! 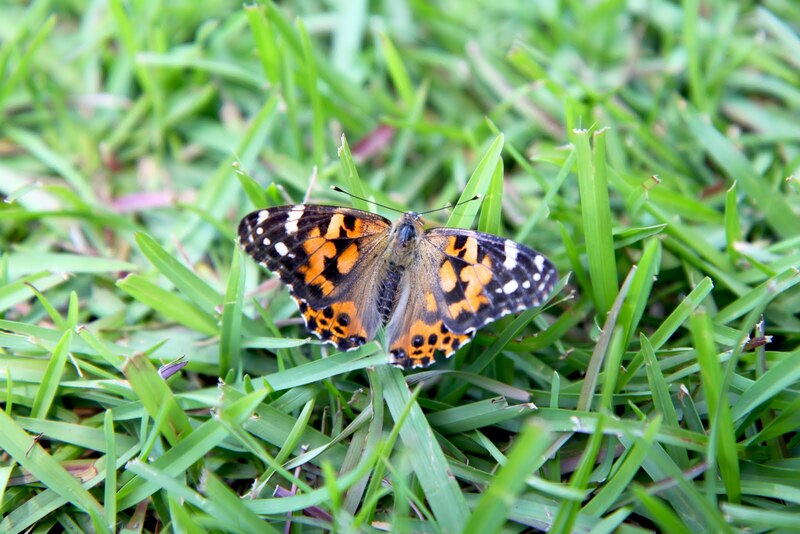 Painted Ladies to be exact! Remember, it's already been warm here in SC for a while now! They really enjoyed watching the metamorphosis from tiny caterpillars into beautiful butterflies. Along with being able to physically watch the whole process, I also explained it all to them each step of the way and showed them more detailed videos and pictures of what was actually taking place. Hands on is so much more fun than reading about it! We released them today and all of the boys enjoyed watching them fly around the yard in the wind. Zayne ran as fast as he could to keep up with them so he could look at them more, each time they landed. Alex said he was a father and when I laughed he said "I am! I raised them!" It was amusing. 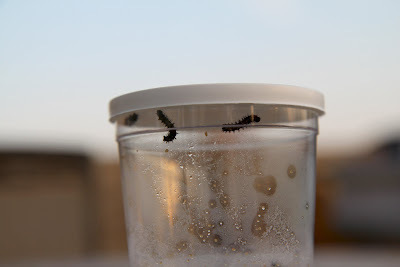 The tiny Caterpillars we started with. The Butterflies the day after they emerged from their cocoons. One of the butterflies after we released them today :).